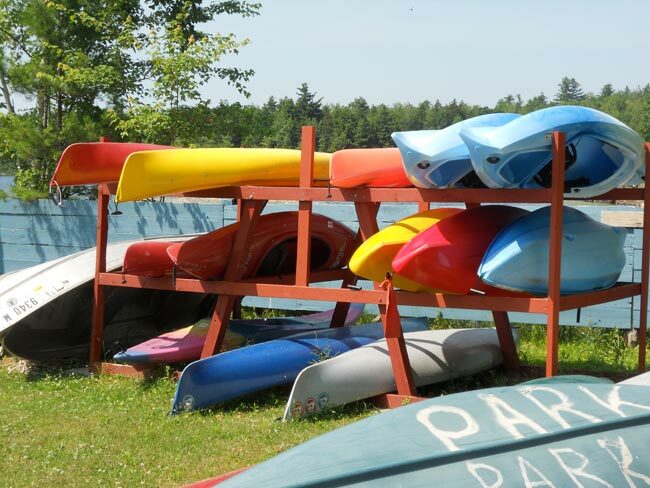 Branch Lake Camping Area is located on the shores of beautiful Branch Lake well away from highway traffic but convenient to Ellsworth, Bangor, and Bar Harbor. Our family has owned and operated the campground since 1978. We offer 50 spacious cozy campsites nestled within the trees, and many with water views. Each campsite has utility hookups, a picnic table and barbecue pit – perfect for cookouts, fireside fun and roasting marshmallows. Enjoy boating, canoeing, fishing or swim and relax on our private beach. Visit the many area attractions including Acadia National Park, Bar Harbor, Northeast Harbor & Southwest Harbor where you’ll find ocean sightseeing, deep sea fishing cruises, lobster and clam bakes, and a lively night life.